A Certified Financial Planner (CFP) is a financial planner who has obtained and maintained the prestigious CRP credential through the CFP Board. Who is the CFP Board? The CFP Board is one of the most important financial organizations that provides exclusive publications, networking and training opportunities for financial planners. They set the industry standards for ethics, financial process and accountancy. They maintain an active consumer and public policy outreach program. Part of this involves free financial planning advice to the public. They also advocate for financial regulation reform in Washington, D.C. Their distinguished CFP certification sends the message that the accredited financial planner is an honest and competent professional. The CFP certification means that the financial planner is a knowledgeable professional who maintains the highest integrity and objective standards. There are four basic eligibility requirements to take the CFP exam. First, the candidate must have a four-year degree from an accredited organization. Candidates who successfully pass the exam are allowed to obtain a degree within a few years. Second, exam candidates must have three years of work experience or two years of supervised financial experience. Third, candidates must agree to uphold the CFP Board’s high standards of professional conduct. Fourth and finally, the candidate must pass the CFP exam. While the CFP exam is divided into eight major domains, each one has a different level of importance. To illustrate, Analyzing and Evaluating the Client’s Current Financial Status and Developing the Recommendations each make up 25 percent of the exam. Communicating the Recommendations, Implementing the Recommendation and Gathering Information Necessary to Fulfill the Engagement all equally make up nine percent of the exam. Finally, Monitoring the Recommendation only contributes to five percent of the exam content. For example, the first domain, Establishing and Defining the Client-Planner Relationship, ask very specific question about very specific topics. There will be questions covering how to discuss financial planning needs, explain the service scope, meet the client’s expectations and resolve potential conflicts. According to the CFP Board, over 70 percent of first time test takers passed the exam in July of 2015. From 1991 to 2011, over 100,000 financial planners took the exam and almost 60,000 passed. Clearly, the rigorous text requires comprehensive knowledge of every aspect of financial planning. Many financial planners are highly motivated to take the CFP exam because the CFP accreditation allows the holder to stand out from the competition and make a positive impact with their clients. Subsequently, CFPs will be able to not only establish a well-paying career with future advancement, but also help build their client’s futures. What are the Benefits of Hiring a CFP? There are proven benefits to hiring a CFP. 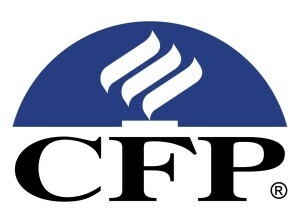 First, the CFP will be able to form reachable financial goals and reduce potential risks. Second, they will educate their clients and help them become financially independent. Third, they will provide specific advice about complex financial activities, such as taxes, insurance, investments and retirement planning. In fact, CFPs are commonly called upon by their clients to help them set up and manage these important financial accounts. 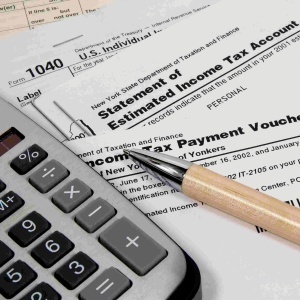 A CFP will be able to help small-to-medium business owners file corporate taxes and older adults plan for retirement in a sluggish economy. Undoubtedly, CFPs help their clients save money through providing quality financial planning services. A Certified Financial Planner accreditation is an excellent indication of financial competency and professionalism.